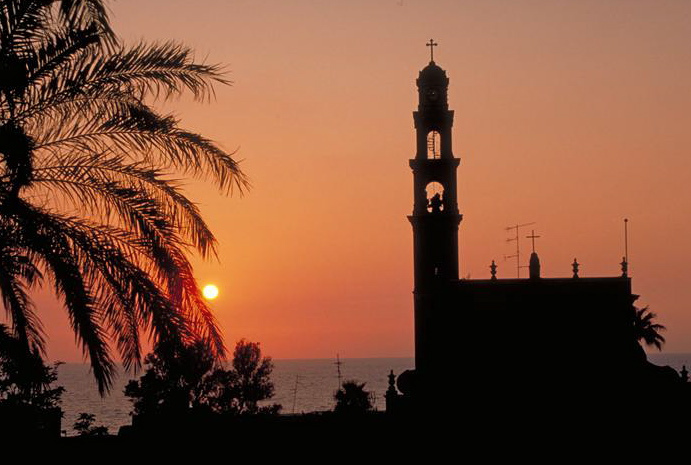 Picturesque Jaffa, on the Mediterranean Sea just south of Tel Aviv, is where the apostle Peter received a crucial vision that changed his mind about accepting gentiles into the early Christian Church. Peter was staying in the seaside house of a tanner called Simon and went up on the roof to pray. He fell into a trance and saw heaven opened and a sheet lowered, filled with all sorts of animals, which he was told to eat. When he protested that some of the animals were unclean, a voice told him, “What God has made clean, you must not call profane”. Realising that “I should not call anyone profane or unclean”, Peter accepted an invitation to visit a centurion called Cornelius at Caesarea, about 48 kilometres up the coast, and accepted Cornelius as the first gentile to convert to Christianity (Acts 10). 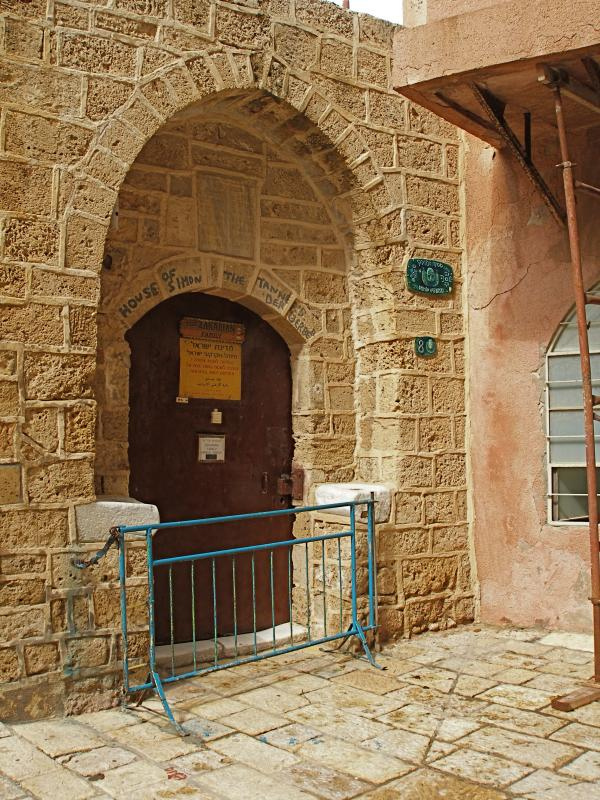 Jaffa offers no original sites to visit, but a disused private residence (formerly a mosque) behind Jaffa’s lighthouse is believed to stand on the site of Simon the tanner’s house. 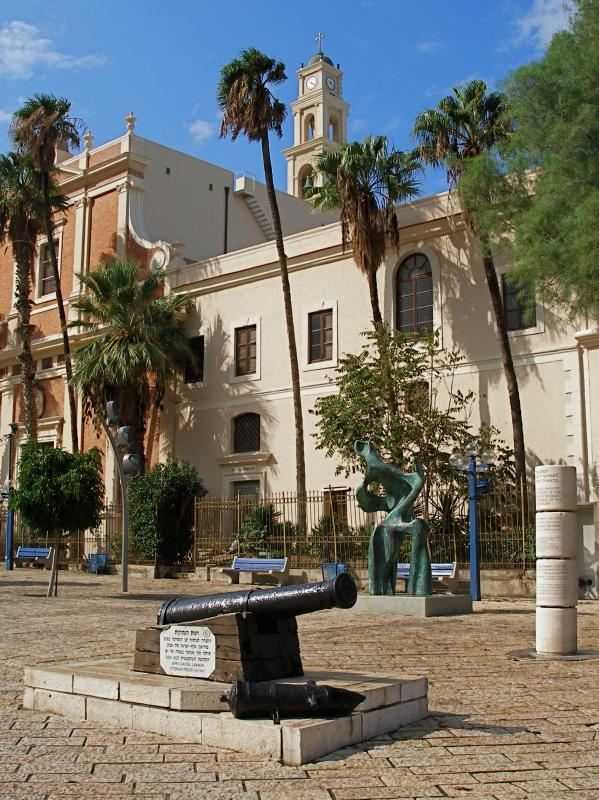 Peter’s vision is commemorated at St Peter’s Church, on a Catholic property that overlooks the waterfront just off Kedumim Square. Another St Peter’s Church, this one Russian Orthodox, is 2.5 kilometres east on the hill of Abu Kabir at Giv’at Herzl. It is on the supposed site of the tomb of a seamstress called Tabitha, or Dorcas in Greek, who was raised from the dead by Peter (Acts 9:36-43). 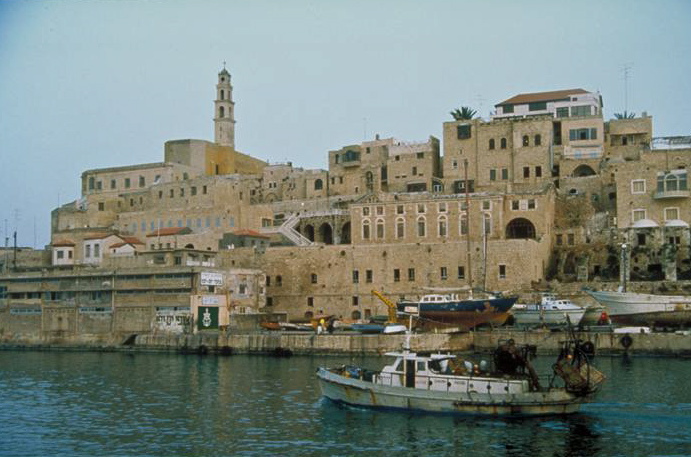 Called Joppa in biblical times, Jaffa is one of the oldest port cities on earth. It was here that the prophet Jonah embarked for his fateful encounter with a whale (Jonah 1:3), and for centuries it was the arrival port for pilgrims visiting the Holy Land. Timber from Lebanon was rafted down to the port of Jaffa for Solomon’s Temple (2 Chronicles 2:16) and to rebuild the Temple after it was destroyed by Nebuchadnezzar of Babylon (Ezra 3-7). Down the centuries the city has been conquered no fewer than 22 times, notably by the Egyptians, Phoenicians, Babylonians, Philistines, Assyrians, Maccabeans, Seleucids, Persians, Greeks, Romans, Crusaders, Mongols, Mamluks, Ottomans, French, British and — just before the state of Israel was declared in 1948 — by Zionist militias. Conquerors have included Alexander the Great, Richard the Lionheart, Muslim sultan Saladin, Louis IX of France, Napoleon, and General Edmund Allenby. When Jewish forces took Jaffa in 1948, most of the predominantly Arab population was forced to flee. The old city’s Arab character has now been replaced by Israeli galleries, art and craft studios, restaurants and nightclubs. 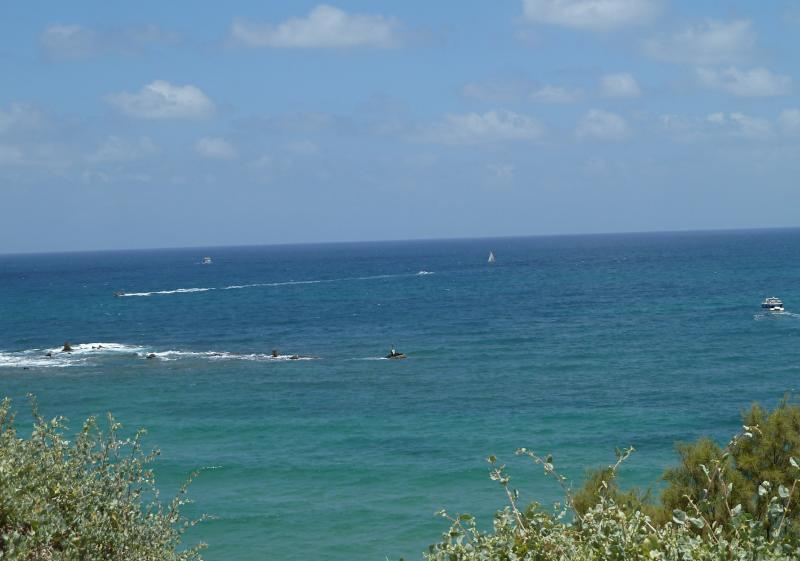 Jaffa was formally merged with Tel Aviv in 1950. The reputed site of the house of Simon the tanner is an inconspicuous 19th-century building at 8 Simon the Tanner Street, down towards the sea from Kedumim Square. A towering belfry makes St Peter’s Church, just off the square to the north, the most distinctive landmark in Old Jaffa. The original church, twice destroyed and twice reconstructed, was built in 1654. Stained-glass windows by the renowned Munich artist Franz Xaver Zettler depict events in the lives of Peter and other saints. 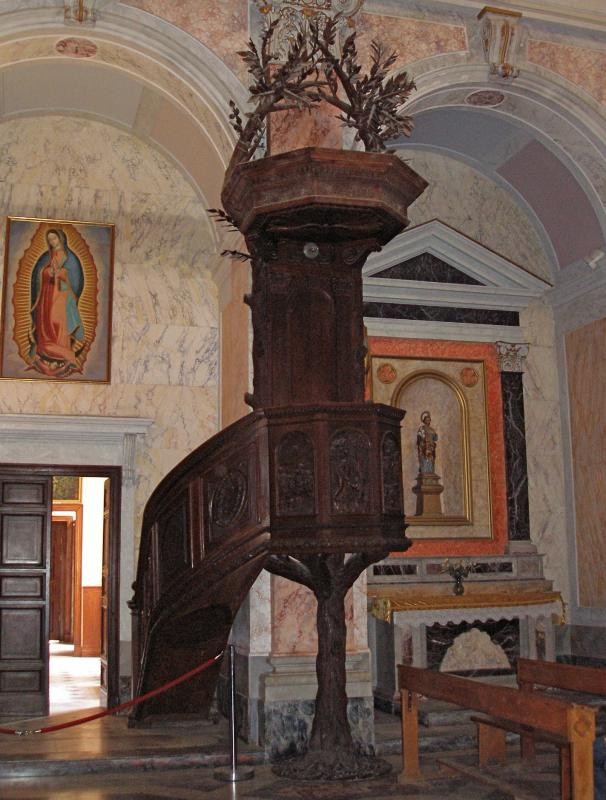 An unusual wooden pulpit is carved in the form of a fruiting tree. Outside and to the right of the sacristy are remnants of a citadel used by Louis IX of France when he led the Ninth Crusade in the 13th century. They include two circular rooms in which Napoleon is believed to have lived after he captured Jaffa in 1799. 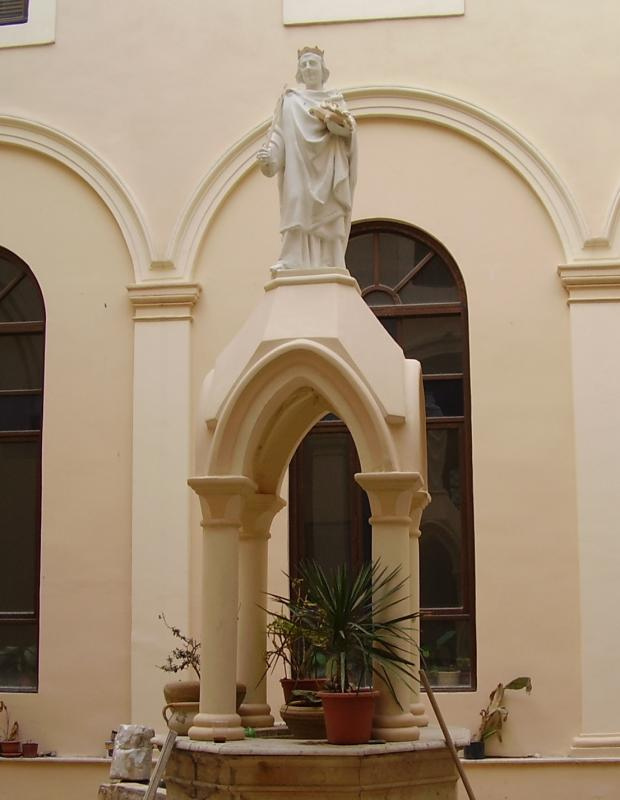 The Russian Orthodox St Peter’s Church at Giv’at Herzl, between Jaffa and Tel Aviv, commemorates Peter’s raising the seamstress Tabitha from the dead. It is built over a chamber where a Russian priest is said to have discovered Tabitha’s tomb in 1835. Down stairs in the centre of Kedumim Square, an underground visitors’ centre displays exhibits from the history of Jaffa, especially the Hellenistic and Roman eras, including archaeological items found in digs around the area. 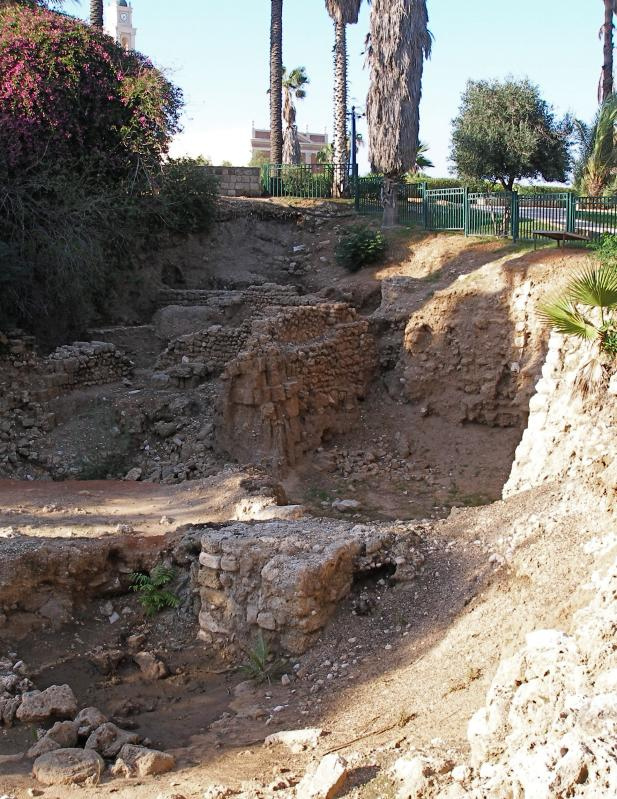 In Summit Park, the highest point of the city, are the excavated remains of a brick wall from an Egyptian fortress built by Ramses II, about 1250 years before Christ. The pilgrim, however, may prefer to find a vantage point and survey the sea and coastline that have changed little in thousands of years — since the times when rafts of cedar logs from Lebanon arrived for the Temple, when Jonah boarded ship for Tarshish, or when Richard the Lionheart or Louis IX sailed into the harbour with their armies. A chain of reefs protects the port, the northernmost called Andromeda’s Rock. Here, according to Greek mythology, the princess Andromeda was chained as a sacrifice to a sea monster, but was rescued by the monster-slayer Perseus, who then married her.